Just when it seemed that Wicked Local couldn’t possibly become, um, less local, comes word that Newton TAB sports editor Scott Souza was part of the latest round of layoffs at parent company GateHouse Media. Souza’s and other layoffs are expected to mark the end of local sports reporting in Newton, Waltham, Watertown and other communities where such coverage had long been one of the most-read sections of the publication and website. 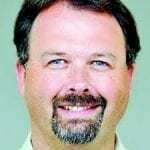 Souza was able to bring historical perspective to his local coverage because he’d been covering high school sports for 22 years and for the last 14, covering the Celtics for GateHouse too. Scott is a wonderful, dedicated reporter who made do with very little and soldiered on with only the barest support from his bosses. He gave my team and the other teams at North and South the best coverage he could, and all by himself for many years. We appreciate him and will miss him very much. As for the Tab, there is no “there” there, as Gertrude Stein might say. I no longer write for it because of its callousness, and I never asked for a cent in compensation. Newton deserves a high-quality hard-copy newspaper, a weekly if not a daily. For economic and other reasons, it seems, that isn’t in the cards. @Bob: Some of us remain hopeful that Newton can have some real news reporting again in its future! So they got rid of the sports reporter and are keeping their cannabis reporter/proselytizer (Greg Padula)? I guess they think the flush-with-cash cannabis companies are better sources of future advertising revenue than high school sports teams. This isn’t surprising based on what the recent Tab has looked liked. It was clear that they had been running the Sports on minimal resources. The coverage had been dramatically reduced. One of the recent articles on a Newton South vs AB basketball game read like it was written for a local Acton paper and just popped into the Newton Tab. I really enjoyed reading about the local athletes as there really isn’t another source that I am aware of providing this coverage. It was nice to mention to another Mom that you saw her child’s name in th Tab (not just for Sports achievements). The whole Tab has been declining….I’m not sure there is much left in there to read these days. This is such a shame. High school sports was the only news left in the Tab. In the not so distant future, people will realize that the big tech companies (Google, Facebook, Twitter) have done more harm to society than good. Real Journalism is dead, it all about selling ‘Ads’ next to stories which means shock, controversy, division. Think about it, these companies have attracted the top 5% of the smartest people on earth, simply to figure out how to make people click ‘Ads’. @bugek, I think (hope) people are starting to realize that. What to do about it? I’m not sure. Mainstream journalism has always been a corporate entity, but in the past few years it’s taken a frightening, demoralizing turn. 10 years post-recession, the economy can no longer be the reason. The corporate overlords have decided that the Tab isn’t worth it from a profitability perspective. The irony is that at one point, it was said that local media would survive because it was they lacked the high costs of the big papers and could provide a specialized service no one else could. And yet, here we are. It’s no accident that the only newspapers thriving (relatively speaking) are those owned by billionaires. It may take someone similar with deep pockets to do the same for local media. I’m assuming that advertising has been the main source of TAB’s revenue, and ad money was probably down because of less readership (due to competing forms of information) — so TAB’s owners simply looked to cut costs. Perhaps they could have looked elsewhere. I enjoyed Scott’s style of writing, his knowledge about all things having to do with sports, and his deep passion for school sports in Newton and the people who play them. I hope and trust that as this door closes, another one will open that leads to bigger and better things; but it’s highly unlikely that this will be with a local newspaper It’s sad and disconcerting at how the quality and quantity of local and even state news has declined in recent years not just in the print media but on local commercial television and radio.